The magic of the internet means that you can now slice and edit famous movie footage into anything you desire. Want to know what R2-D2 was thinking throughout Star Wars? You got it. What about a compilation of various movie characters uttering, "I should have killed him when I had the chance?" That’s there too. And that’s just what we found today. 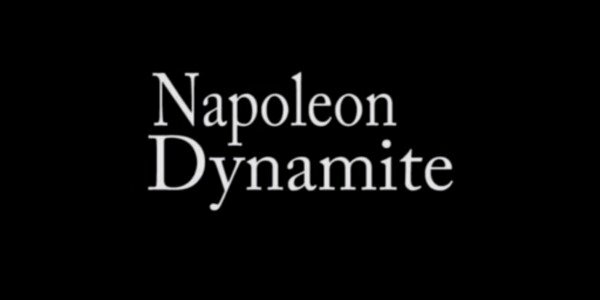 Yet another YouTube video that we stumbled upon today is Napoleon Dynamite re-cut as an inspirational drama, and, rather oddly, it actually works. I think I’d still rather see Jared Hess’ original droll 2004 comedy, but I found myself being a tad inspired and impressed by the potential this dramatic version of Napoleon Dynamite. That abruptly came to an end when I remembered this was the same film that featured the quote, "Tina, you fat lard, come get some dinner." The dramatic incarnation of Napoleon Dynamite still primarily revolved around Jon Heder’s titular character going to war with his rather evil uncle, Rico Dynamite (Jon Gries). Their main source of conflict is that Napoleon Dynamite doesn’t have a job, and doesn’t make the obscene amount of Rico is pulling in on a daily basis: the cool sum of $120. Napoleon Dynamite insists that he could make that in 5 seconds. Uncle Rico disagrees, and then tells his disobedient nephew to go and feed Tina, who we know in the comedy is actually a llama. But in the drama would probably be a character afflicted with some tragic disease or horrific disability. The drama then seems to see Napoleon going to great lengths to get rid or Rico, while the swelling music coincides with more touching moments of dialogue, as Napoleon offers inspirational advice to his good pal, Pedro. But don’t go thinking that Rico is all bad. Because, Tina Majorino’s Deb Bradshaw takes photos of him that bring out his softer side. Far from just using soft piano music and dissolves to turn Napoleon Dynamite in a drama, YouTube’s very own Ryan Shukis also created a brand new title card to highlight this change in tone too. It's much more fitting for the new sensibility. Released back in 2004, Napoleon Dynamite only cost the relatively paltry sum of $400,000 to produce. But, after being picked up by Fox Searchlight at the Sundance Film Fesitval, Jared Hess' comedy was given a wider release in August of 2004, where it caught the zeitgeist and went on to gross $46.1 million. That probably wouldn't have happened if it was a straight ahead drama.